Authentic Style was founded in 1991 and has been a successful family business since then. 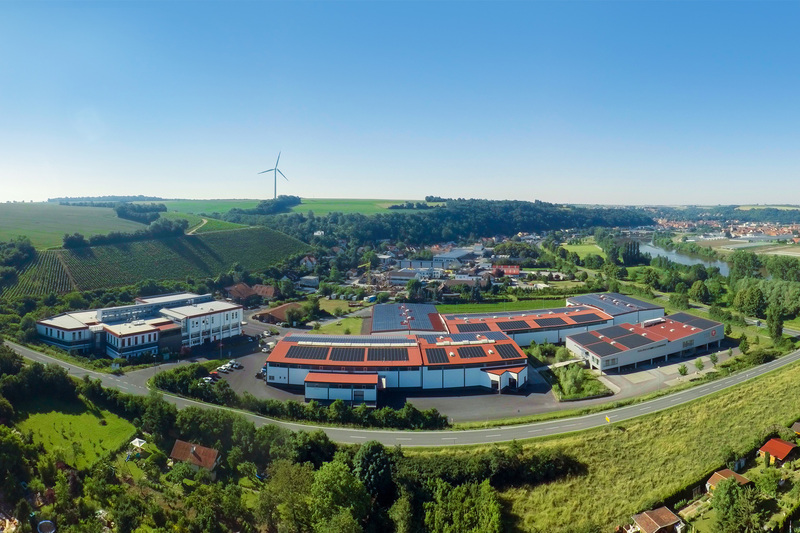 Based in Marktbreit, very close to Würzburg, our fashion company continues to produce fashion for young people. The company is now being managed by the second generation of the family that founded it. 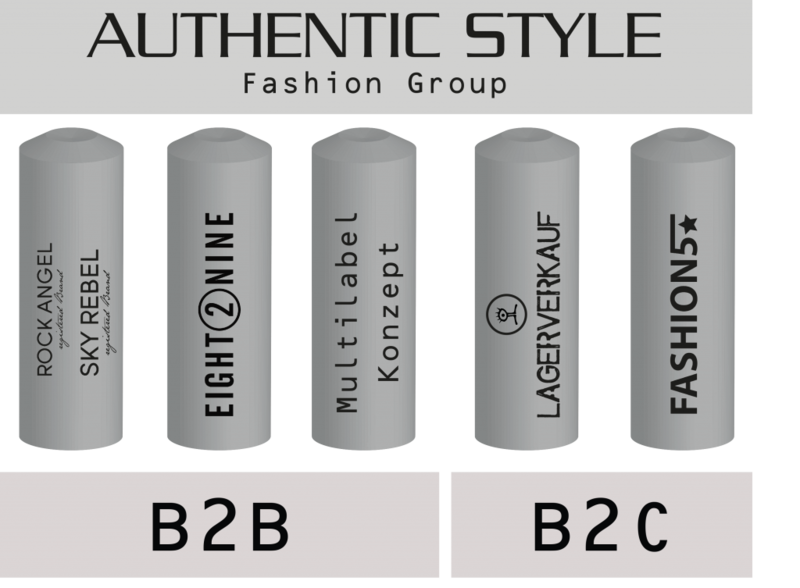 Authentic Style’s B2B business has continued to grow over the years, and our initially small warehouses have grown into Europe’s largest direct Young Fashion warehouse, with an area of 30,000 square metres. About 4,000 styles are produced every year in the Far East, and rush orders are also manufactured in Europe under strict quality standards. Since 2011, the company has also successfully entered the B2C business arena. Over the years, we have developed various concepts that make it possible for us to supply both Germany’s largest apparel sellers and smaller retailers. The multi-label principle plays a primary role here; we offer different labels with collections that have both breadth and depth, as well as free price-setting. In this way, the company has developed into a modern fashion group. Within this fashion group, there are well-known labels with different focuses. The EIGHT2NINE label pursues a broad concept, with new collections monthly. The ROCK ANGEL & SKY REBEL labels present a specialty retail concept, with a NOOS program and their own brand concept. Authentic Style has been operating the FASHION5 online shop since 2011, with its own e-commerce department, shipping warehouse and returns department. At the company’s headquarters, there is also an associated warehouse store that sells remnants, single items and samples. The entire value-creation process – from product development to shipping – takes place directly within the company. Designers and technicians develop and design our items based on the most current fashion trends and oversee the manufacturing process from first draft to production. Our product managers also contribute their specialized knowledge and skills to this process. Finally, all merchandise that we produce is inspected very carefully by the quality assurance department before being delivered to customers. The distribution and marketing departments are also located at the company’s headquarters. Thus Authentic Style has its own showrooms in all of Germany’s important metropolitan areas, as well as its own national and international distribution networks. The development and implementation of marketing strategies for the various concepts and labels, as well as associated social media and content management tasks, are also carried out by company employees. Because of the fast communication channels within the company, Authentic Style can react quickly and implement changes immediately. Having the most important links in the production chain within one’s own facilities has a lot of advantages. Our own team of designers works closely and consults with the product management department on current trends. Additional inspiration also comes from travels to other cities, fashion events and analysis of current international markets, all of which help us stay up-to-date. Cuts and fits are prepared by our own technicians, with special attention to precise measurements and the accurate implementation of details. The ensuing production process is organized by our own export/import department. Finally, the quality assurance department oversees all the ongoing processes: From the design right through to the delivery to our customers, this department ensures high-quality performance of all tasks as well as compliance with quality standards. It also conducts ongoing tests to ensure consistent quality. For the FASHION5 online shop, the e-commerce department and our internal logistics department ensure smooth processes in the shop, in shipping and in the processing of returns.